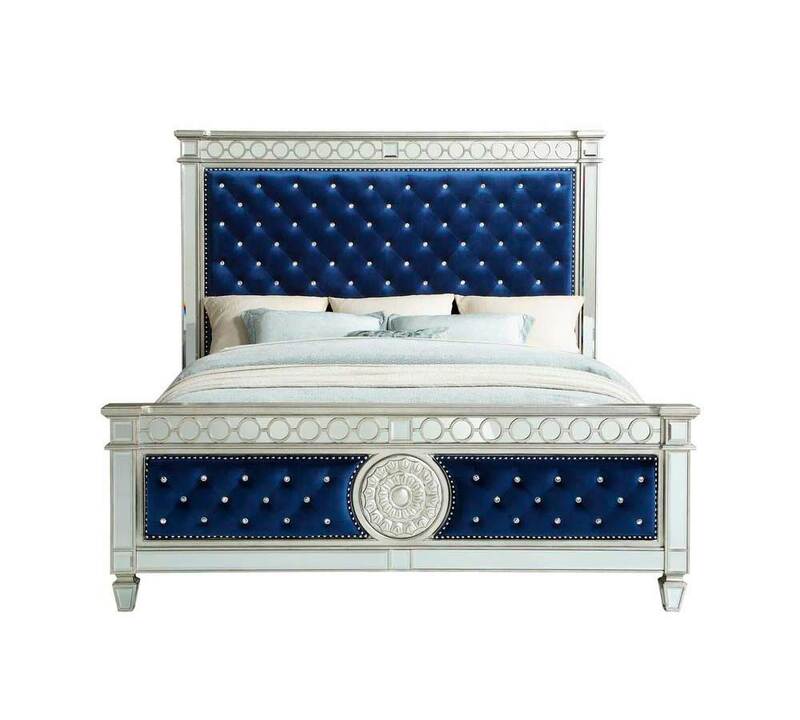 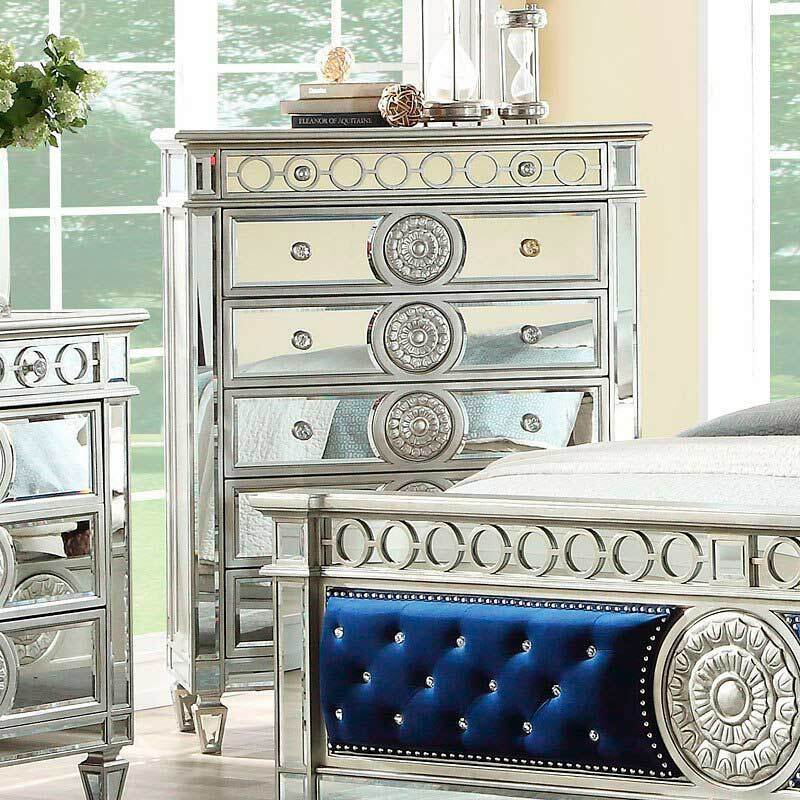 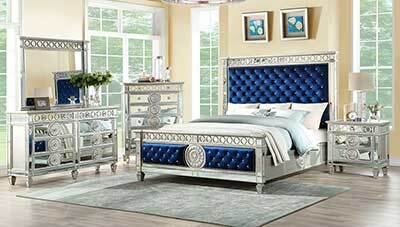 The Valary bed provides a commanding presence in any room. This contemporary panel bed features a padded rectangular headboard and low profile footboard in luxurious dark upholstery with elegantly tapered legs. 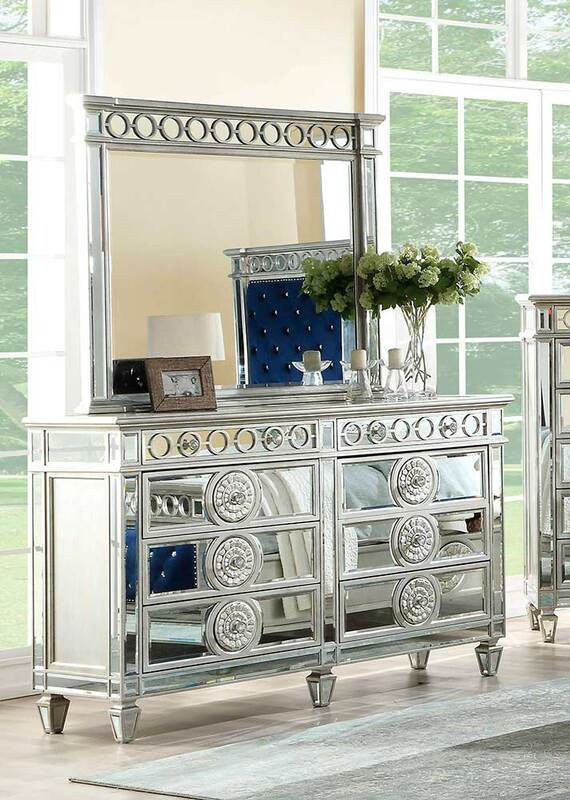 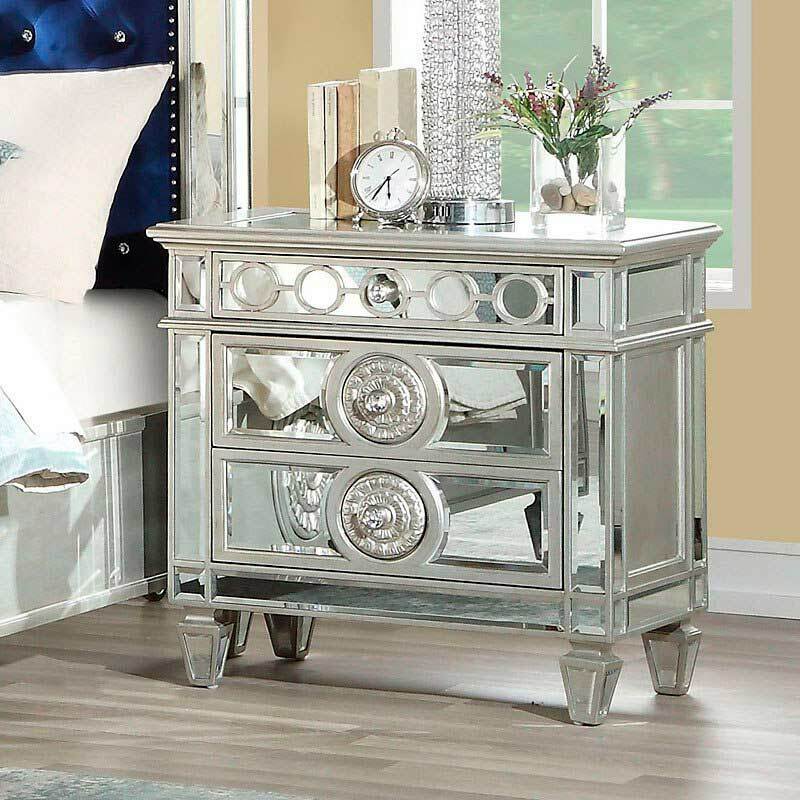 raised geometric patterns and mirror finish.